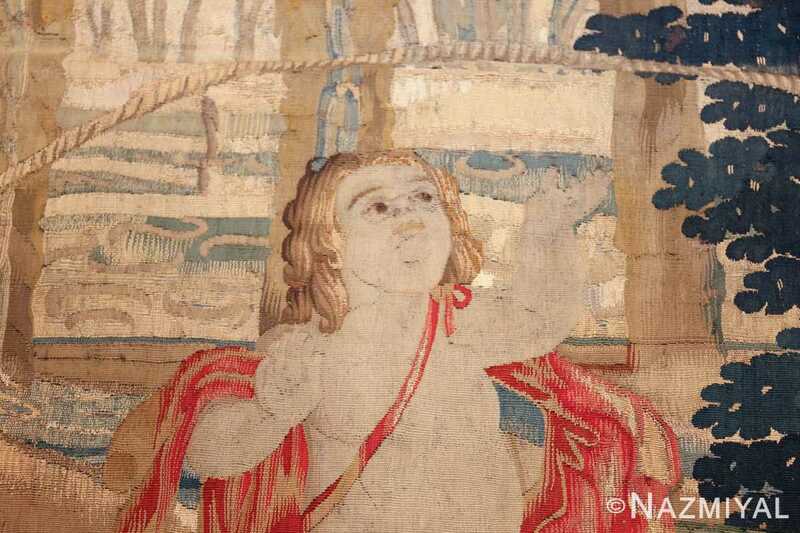 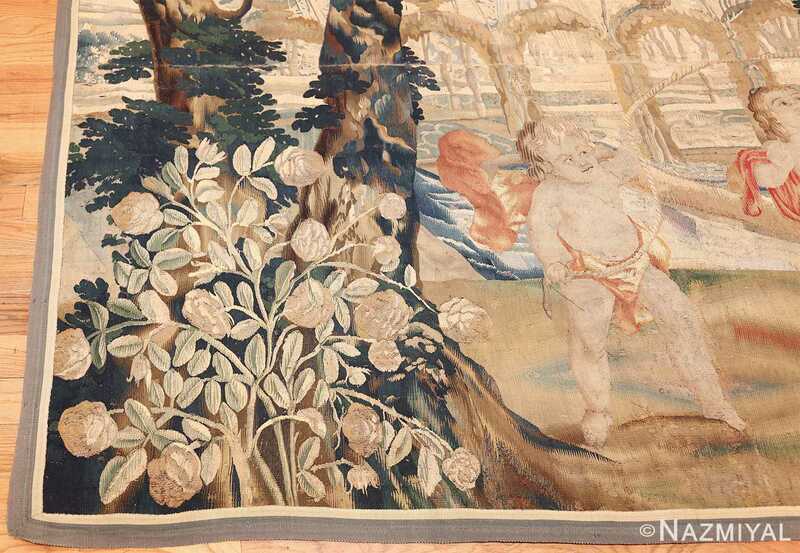 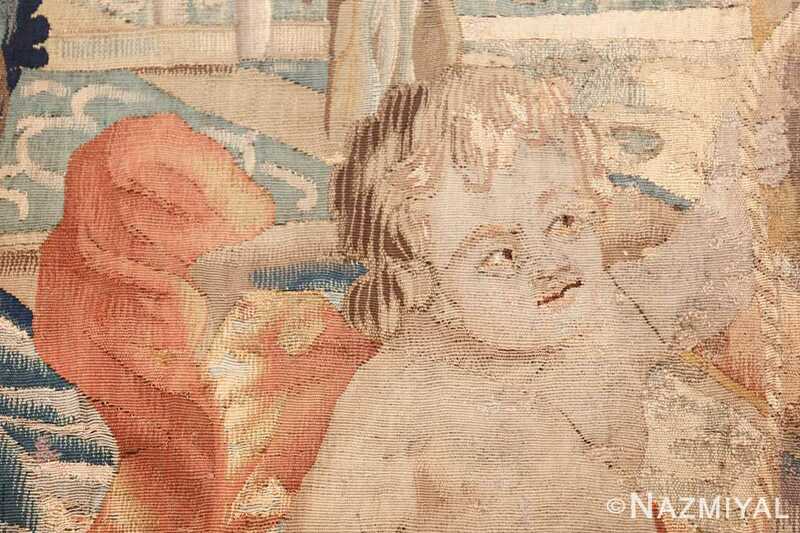 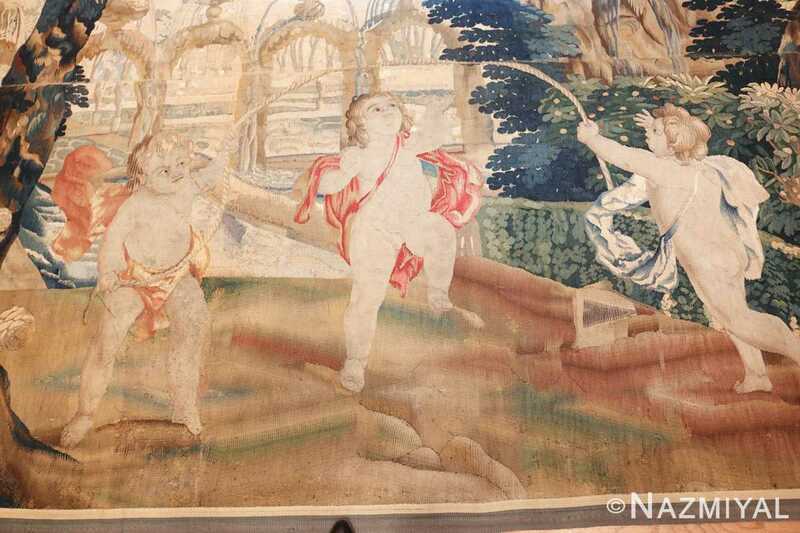 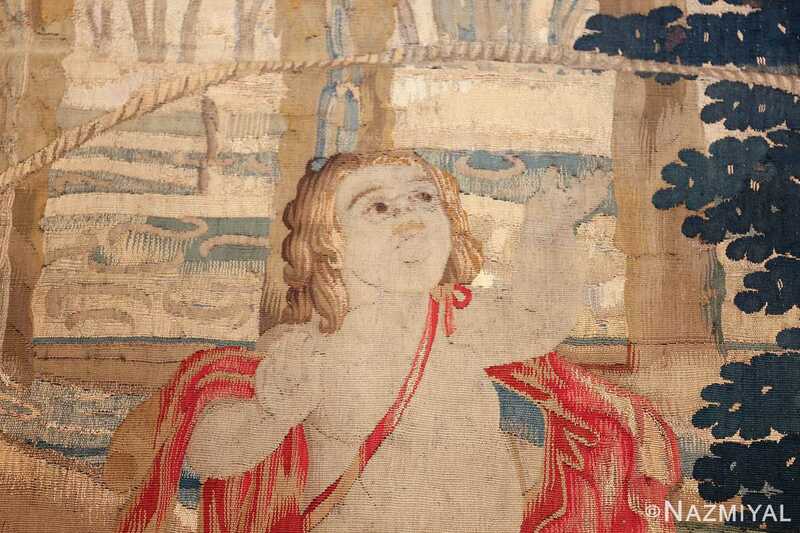 Following the romantic and classic traditions of the baroque era, this antique Flemish tapestry depicts a trio of cherubs jumping rope in a magical garden. 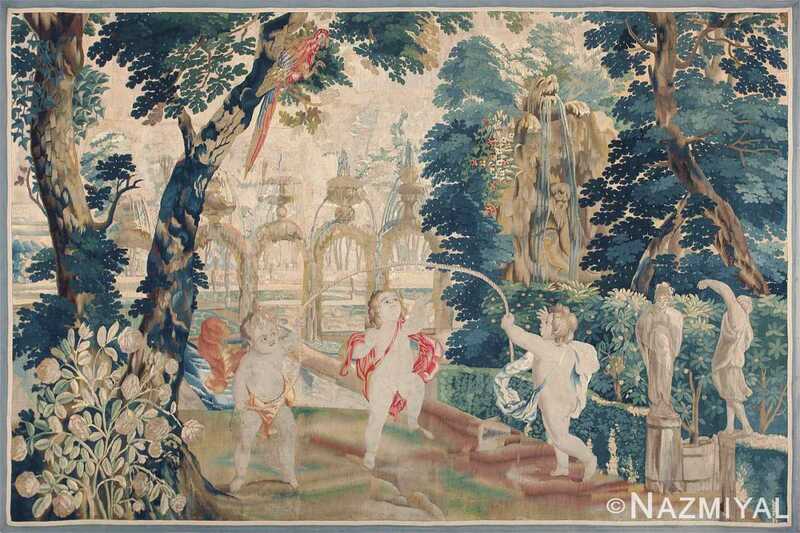 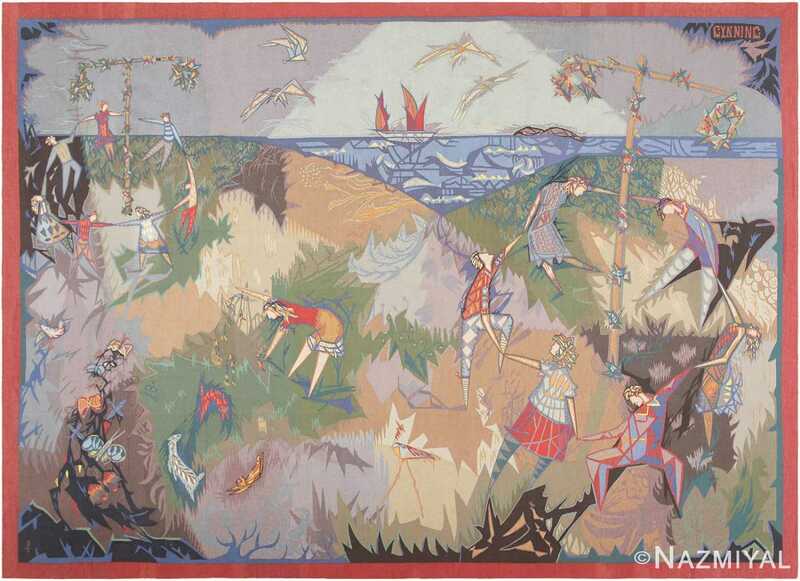 Breathtaking Antique 18th Century Flemish Tapestry Titled Pastoral, Country of Origin: Belgium, Circa Date: 18th Century – Combining romanticism, classicism and baroque artistry, this spectacular antique Flemish tapestry rug is a quintessential example of this highly evolved art form that flourished in Dutch-influenced Flanders throughout the 18th century. 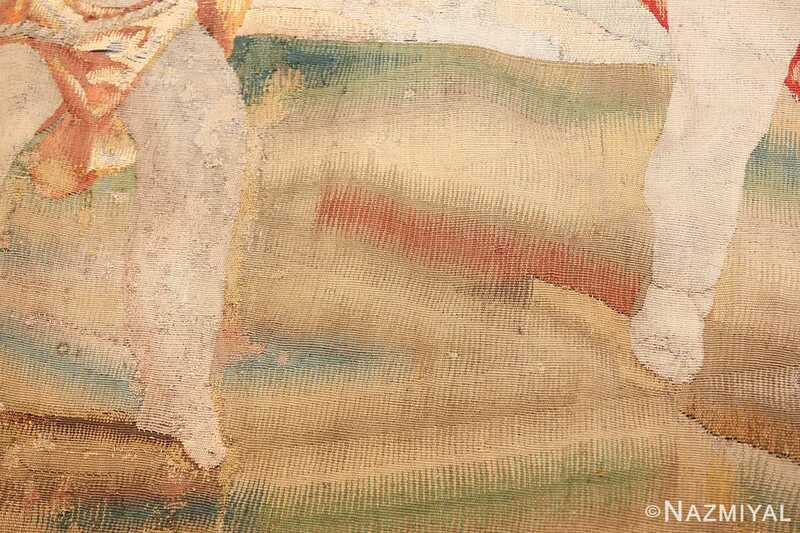 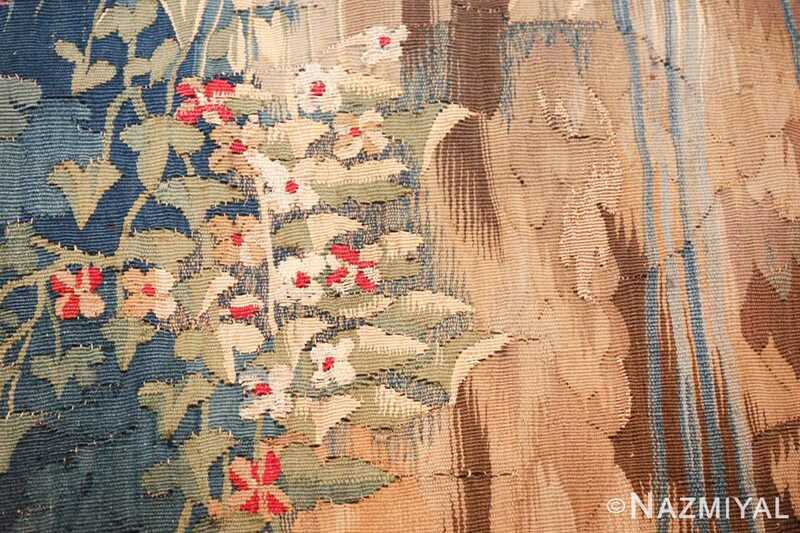 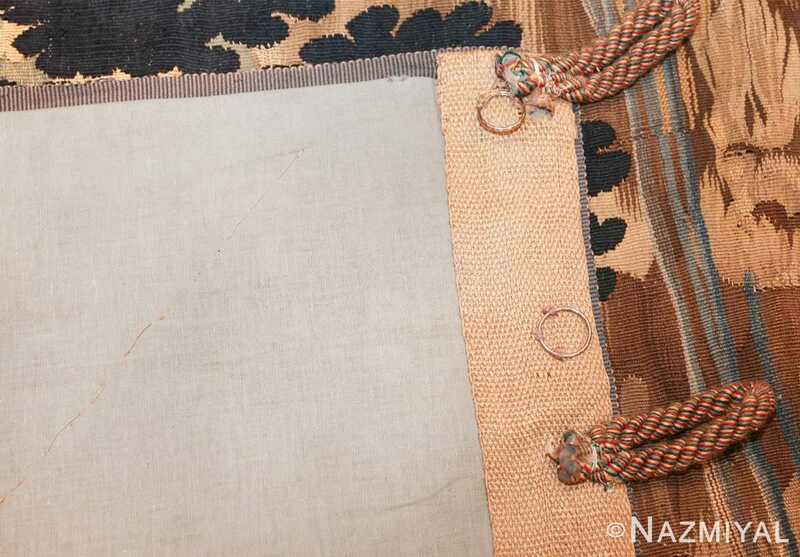 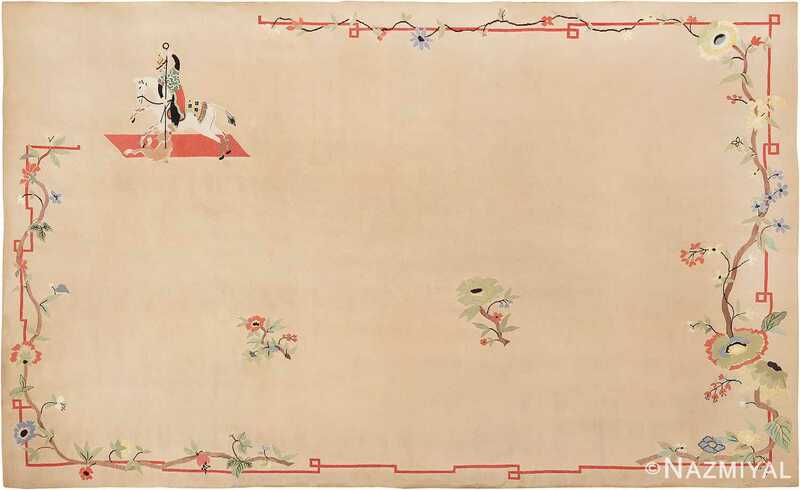 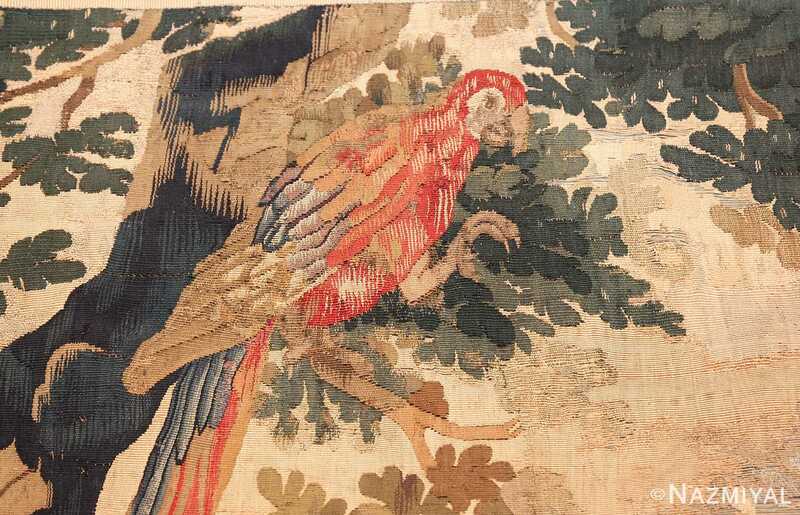 Prominent foreground features and innumerable background details are woven into this spectacular creation and rendered in the lush, painterly style synonymous with tapestries of the era. 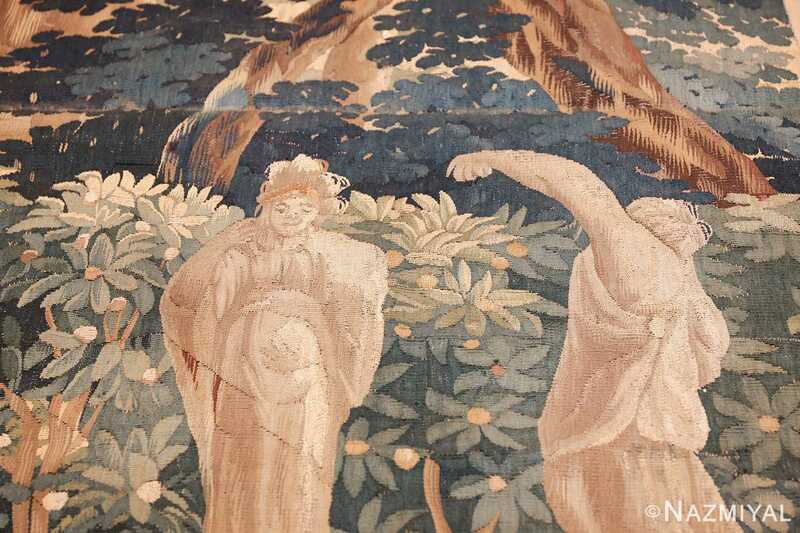 The magical garden is alive with plant and animal life captured under a veil of childlike innocence. 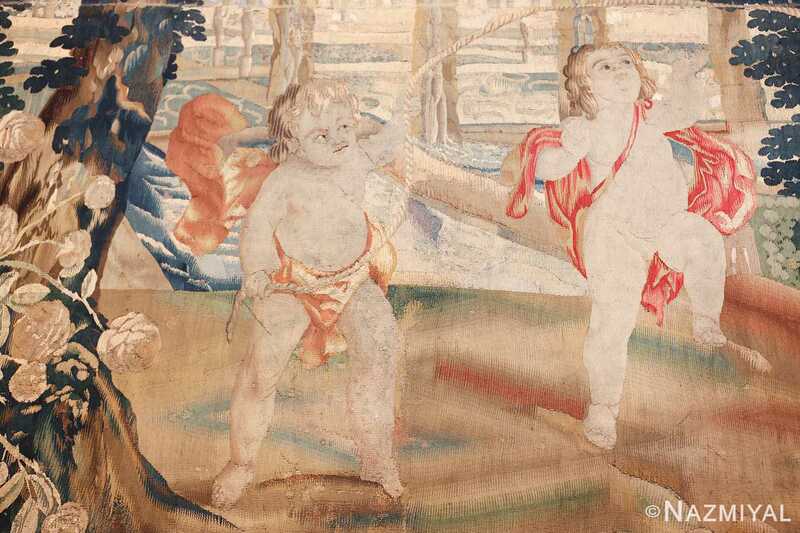 Carefree cherubs play a romping game of jump rope within a pastoral garden shaded by dense trees. Dimensional statues, verdant plants and a colorful parrot bring the otherworldly scene to life. 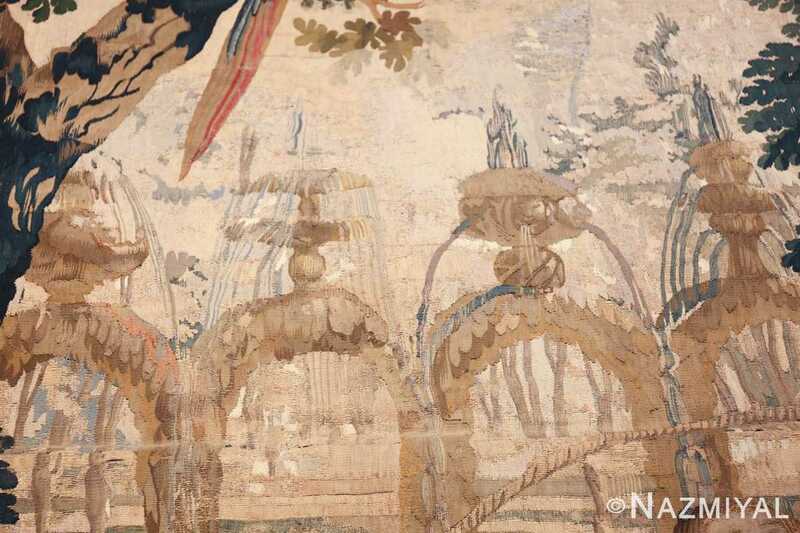 This idyllic paradise is accompanied by an Oz-like lion fountain, Romanesque arches and softly colored landscape features that give the creation life-like perspective with an artful painterly touch.